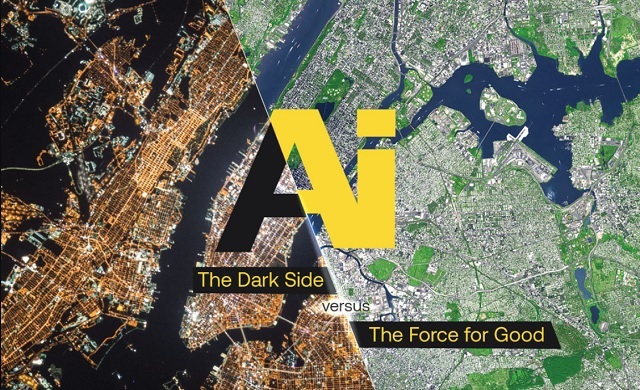 AI: A force for good or destined for the dark side? #infographic ~ Visualistan '+g+"
No other emerging technology captures our imagination quite like artificial intelligence. The underlying concepts surrounding AI were born from science fiction, used as allegories for the pitfalls of humankind and the possibility of creating our own demise. Today, those allegories may still ring true. In the words of Will Durant, “we are what we repeatedly do,” and the same can be understood of artificial intelligence; in other words, what we put in to it is what we also get out of it. One of the most important goals of AI is to develop it into a tool that eliminates human bias and flawed logic. However, when it is constantly fed biased data with which to learn from, all that results is more biased data fed back to us. Addressing the human condition of prejudice and disordered thinking is part of the AI puzzle. The future of AI, and its morality, is in our hands - take a look at this infographic for more on how we can make AI into a force for good instead of a weapon of evil.